With a full squad back in action for the first time in two weeks, Jah-Nhai Perinchief and his Texas Tech Track & Field teammates showed they are continuing to get stronger as they are now half a month from hosting the Big 12 Championships. 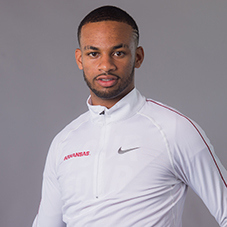 Competing in the Texas Tech Shootout, Perinchief, who had not Triple Jumped since last February, turned in a monster 53 feet 9.75 inches or 16.40m leap on his second jump – a mark that lands him second in the Big 12 behind teammate Odaine Lewis. Perinchief said he had not practiced the triple jump at all this season. “This was my practice,” he said of the competition.